Michael Hyatt is the former Chairman and CEO of Thomas Nelson Publishers, the seventh largest trade book publishing company in the U.S. In fact, Hyatt has been involved in the traditional publishing business his entire working life. Not the typical profile of a do-it-yourself blogger, right? And yet, in 2012 when Thomas Nelson was acquired by HarperCollins and Michael left his executive role, it was his 8-year-old blog that opened the door to an exciting and vibrant new chapter of his life. A blog that he toiled in frustrating obscurity for many of those foundational years. 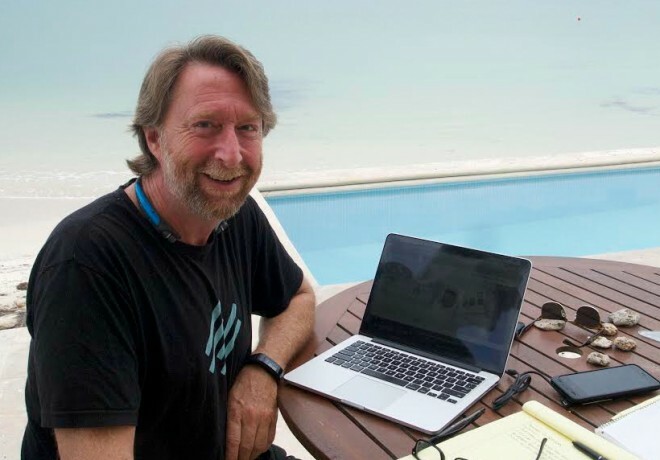 It was the blog that provided the launch pad for his New York Times, Wall Street Journal, and USA Today bestselling book Platform: Get Noticed in a Noisy World. And it was the book that opened the door to his membership program Platform University. Seems like we can learn a few things from this guy about building our own online marketing and sales platforms. 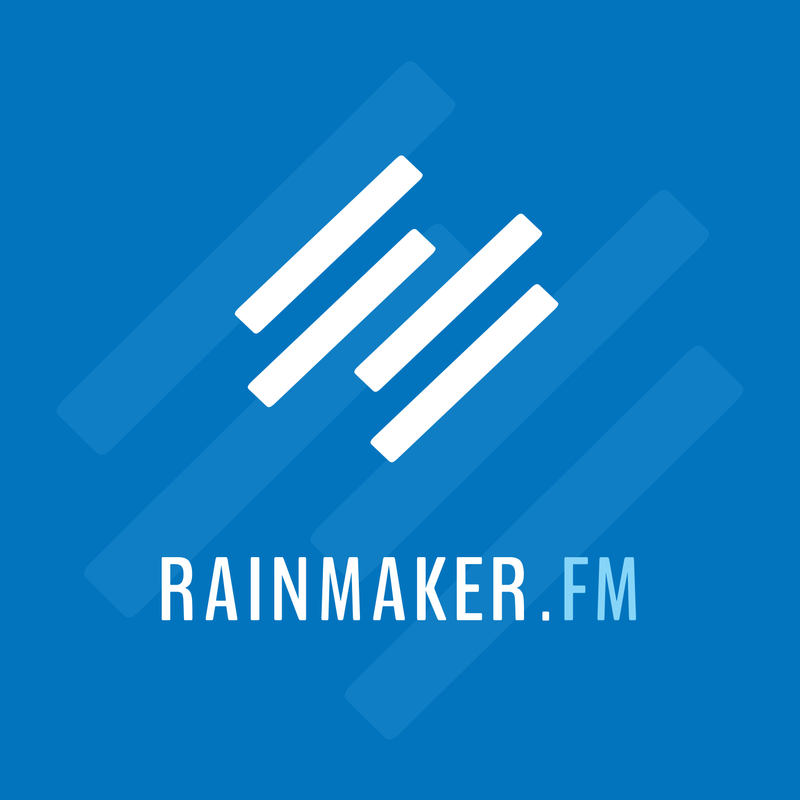 Brian Clark: Hey everyone, Brian Clark here with another episode of Rainmaker FM. Today I have another special guest, someone that I’ve admired from afar. And as in this case, sometimes you just don’t connect with people even though you’re in the same city, at the same conference, or whatever the case may be and that’s Michael Hyatt. Now many of you are probably familiar with Michael. He has done some really great work in the last three or four years. He is the former chairman and CEO of Thomas Nelson Publishers, which I think was the sixth largest publisher around. He was sprung from that position when it was acquired by Harper Collins in 2012. He did not slow down from that standpoint as you might have noticed. He is a proprietor of MichaelHyatt.com with the tagline “intentional leadership.” We’re going to talk a little bit about that concept today. He has a podcast, This is Your Life and he is the author of many, many books, more than you probably think. Most notably is Platform from 2012. He was nice enough to mention me and Copyblogger in that and we do appreciate that. First of all, join me in welcoming Michael Hyatt to the show. Michael, how are you? Michael Hyatt: I’m doing great, Brian. Thanks so much for having me on. 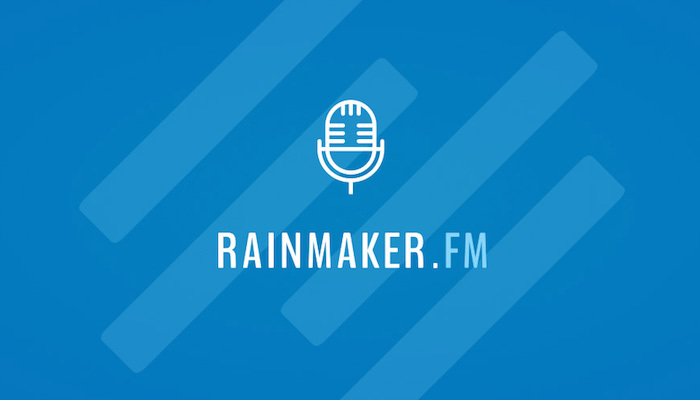 As I said to you before the show, I’m a total fan of Copyblogger. I recommend it everywhere I go. It has really helped me in my writing. Thank you for what you do. Brian Clark: I appreciate that very much and the feeling is mutual. Like I said, I’ve been watching your work and this amazing audience that you’ve built in not the longest amount of time really. I just love it because effectively you’re walking the talk. You’re practicing what you preach and that’s really what I want to dive into today. Real quick though, I always ask people from, okay you were born and we’re here today; what happened in the middle there? I did just find out though that you went to Baylor. When were you there? Michael Hyatt: I graduated in ’78. Michael Hyatt: I met my wife there. And my parents lived there until two years ago in Waco, which is a little town outside of Baylor. Are you familiar with Baylor? Brian Clark: I went to Texas A&M right down the road, but I was there a little bit after you. But you know, we don’t like each other during football season. You know how Texas is. Brian Clark: It’s like its own religion there. I didn’t know that, so I found that out so we did have that I-35 experience going for us. Okay, you were at Baylor and then if I understand correctly, you started your career as a literary agent. Is that right? Michael Hyatt: No, I actually started in the publishing business. It wasn’t until much later, about 20 years later that I became a literary agent. Brian Clark: Oh, okay. Fill me in on that because I missed the gap there. Michael Hyatt: When I was in college, I was completely enamored with books. I just saw the power of books to really change a culture and change people’s lives. I got really committed to books. So I went to work right out of college. It was actually while I was in college my senior year at a local, small publishing company. Then I ended up going to Thomas Nelson. I was working first in marketing and then I went over to the editorial side of the business. Then I decided to start my own company. I did that for about five years. That company unfortunately it essentially went bankrupt. We were able to sell it so we kind of avoid all the ugly parts of bankruptcy. Then I decided to be a literary agent, which was a great education. After a while, I decided I wanted to get back into traditional corporate publishing so I went back to Thomas Nelson in 1998 where after several years I became the president and then the CEO and the Chairman and so forth. All my background is in traditional publishing and traditional media. In 2004, kind of on a whim, Brian, I started blogging. I thought I’ve always wanted to write more and I wanted to discipline myself to do that. I thought this might be a way to express this pent up art that was in me about writing. I was inconsistent and then I’d go in streaks where I’d try to be more consistent. But long story short, after four years, so from 2004-2008, I built up where I had about a thousand readers a month, so that was good. I had a thousand unique visitors. Michael Hyatt: Then something happened the next year. I hit this inflection point where I averaged that year about 20,000 unique visitors a month. It got picked up by my Lifehacker, Huffington Post, and a few other sites that really skyrocketed my traffic. Then it has grown exponentially since then and I was able to step out as you mentioned three years ago to pursue this growing dream inside of my heart to be a speaker and a writer and create online courses and all of that. That’s what I do today. Today my site gets almost half a million unique visitors a month. Brian Clark: So you’re the typical ten year overnight success. People always think that, “Oh, he just came out of nowhere.” No, he’d been doing it and putting in the work. Michael Hyatt: Putting in the work. Michael Hyatt: Well I say to people because we talk about that all the time. When I speak and people say, “Well, if I could do this full-time like you do it, I would have plenty of time to do it.” I’m going to tell you something, and this is a dirty little secret, it’s honestly harder for me to discipline myself to write now when I’m less busy than it was back then when I was so busy. Brian Clark: I feel the same way. Brian Clark: When I am pressed to the limit, I am exceedingly productive. When I have all the time in the world, I get what really needs to get done. But sometimes, you’re right, you’re not pushed to the point where you just go from thing to thing to thing. It’s an odd phenomenon of the human experience I think. It’s interesting to me because you just basically said you spent your whole life in traditional publishing and traditional media. That is a space that has struggled and sometimes has found itself really far behind the curve with this internet thing, even twenty years later. Michael Hyatt: Well, what I’d love to say is I’m a prophet and I saw it all coming and it came out just like I expected. Michael Hyatt: But honestly, it was when I got involved in blogging and I think really the shift in my thinking happened in 2008 when I got involved in Twitter. All of a sudden I saw the potential to influence people on a pretty large scale. It happened to me one time in 2008 when Publishers Weekly, which is the main trade journal in the publishing industry, did an article about Thomas Nelson and they got all the facts wrong. Michael Hyatt: And I did. Michael Hyatt: And it was awesome. I mean it kind of went viral. I realized suddenly that I didn’t have to go through the gatekeepers anymore. The playing field was level and the lights went off in my head. My head about exploded. I thought, “If I could help authors create a platform where they can get directly to the people that they want to influence and connect with, that would be awesome.” At the same time all of this is happening, I’m seeing in my own publishing house where we’ve got an editorial process where people submit their book proposals. We review them and we turn down most of them. With increasing frequency, we were turning down really good book proposals. These were really well written manuscripts on the fiction side because the authors didn’t have a platform. We’d always said, and it’s kind of a truth that’s often said in the publishing industry, that content is king. I realized that platform had become queen and that unless you had both, you really didn’t have the same chance as an author that you might have had twenty years ago. On the flipside of that, you should actually have a greater chance because now you don’t have to rely on somebody to choose you or give you permission. Now you can take the bull by the horns. I think I mixed about three metaphors there. Brian Clark: You talk about authors with platforms. You know Wiley is a great example of a house that really grew because it exclusively went after people with existing platforms. It was like shooting fish in a barrel compared to the usual struggle, regardless of how good the content is to actually get that thing some traction. Michael Hyatt: That’s so true and it’s such a good strategy. We kind of did that even at Thomas Nelson before 2008 because we would identify people that had large speaking platforms. Or we saw they had a television show or a radio show. The problem with that is that every publisher is competing for those and it gets very expensive, very fast. There’s supply and demand. We started intentionally going after bloggers. I remember the first guy I got into a negotiation with was Robert Scoble. Remember him? Brian Clark: Yes, of course. Michael Hyatt: He’s still blogging today. I thought, “Oh my gosh, this guy has an incredible platform, we’ve got to publish him.” We ended up losing that book. I can’t remember if we lost it to Wiley or somebody else, but we lost the bid. 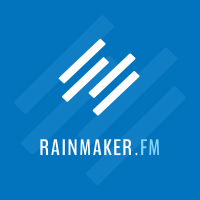 Brian Clark: You know we’re both friends with Seth Godin. You get Seth talking about his frustration with the boat that was missed repeatedly by traditional publishing and he’ll talk your ear off. I suppose it’s frustrating especially when you’ve been on the inside. Seth’s relationship, and your relationship there, you probably want to pull your hair out. I think that’s one of the reasons I stayed outside of it the whole time. I knew that if I built my own audience, I could accomplish what I was trying to do. You know? Brian Clark: I just have that kind of personality that hates to ask anyone’s permission to do anything anyway. Brian Clark: Let’s talk about platform as we approach 2015. I love the fact that you take it back to old school and if you wanted people to hear you, you had to somehow rise a bit above the crowd. You could stand on a small wooden stage or literally a soapbox in the square. Brian Clark: And you would draw attention to yourself and have an audience for whatever it is you needed to say. Today in the tech media when we talk about a platform, we’re talking about Facebook, Amazon, and these masters of the universe. It’s these Silicon Valley companies that people do flock to. That’s because it does provide the perception that here is where the people are so here is where I need to go stand. That’s until you realize you don’t own that platform and the rules can change or it can be taken out from under you, not metaphorically. What’s your thinking these days? What are you telling your people as far as a personal platform? What’s the mix of distribution and ownership? Michael Hyatt: I have this model in the book, and I think I originally got this from Chris Brogan and a friend of mine named Jon Dale. I’ve modified it and created this soup of my own. Essentially it begins with a home base, which is your blog or your podcast. But you’ve got to have a place in cyberspace that you own and control. You can’t have happen to you what happened to a friend of mine who was in the conference business. Thirty days before his biggest conference, he didn’t have a mailing list really and his blog wasn’t that significant, he was doing everything on Twitter. He was counting on Twitter to get the word out. For reasons he still doesn’t understand, his account got suspended and he was essentially out of business. He didn’t control that platform and when the rug was yanked out from under him, he didn’t sell the tickets and it was catastrophic to his business. You’ve got to build your house on a lot that you own. You can’t build it on a rented lot. I think blogging personally, you know it’s kind of my thing, but I think it’s more important than ever. Now it’s cool that we have all these different social media channels, but as it turns out, you still have to have something to say. I think this is what a lot of people forget and this is why Copyblogger is so important. That is because it helps people express it. It helps with whatever it is they have to say in a way that’s compelling. Just because you have access to these channels doesn’t mean anything if you have programming so to speak, or if you don’t have content that people actually want to consume. Podcasting wasn’t on my radar when I wrote the book. Now it’s a huge part of what I do. Podcasting generates probably about half the amount of traffic as my blog does or the consumption is about half of that. I think there’s probably about a 20% overlap. There are just so many opportunities for us to own a place in cyberspace and really set up shop so to speak and have our own business. Brian Clark: Your podcast is really excellent, by the way. Let’s talk a little bit about that. We obviously share that same text base. That’s whether you want to call it blogging or not, but the medium that I embraced and felt most comfortable with to start Copyblogger was obviously in writing. Our audience is primarily made up of readers, and yet you cannot dispute that readers to some extent are in the minority. Audio, with its on-demand transportable nature, is really too compelling to pass up. Michael Hyatt: Well, I’ll tell you where it began. It started in 2011 and so it was, or maybe it was 2012 now that I think about it. It was in a conversation with Dan Miller, the author of 48 Days To The Work You Love. And Dan was podcasting, and Dan said to me, “You’re missing a huge opportunity.” He said everything you just said, Brian, that with increasing frequency people are listening and consuming media through audio or video. You’ve got to be there in a podcast. What he did was give me the vision for connecting with people in a very intimate way. I know that the reason sales happen is because people trust you. The way that people trust you is they have exposure to you and you create a relationship. I saw that podcasting was an opportunity to do that. I will say this, after I started, it was a more daunting task than I realized. It became a huge effort for me. With writing, I’ve been in periods of my life where I’ve blogged every day for long stretches of time and I could do that, but podcasting once a week was difficult. I had to learn that. I had to learn how to do the prep and I had to learn to outsource the production. The way we do it now is optimal because we batch produce them. I have a cohost now, Michelle, and we do thirteen episodes in a day and a half. Brian Clark: Oh, wow. How long? Your shows are like what, 20-30 minutes? Brian Clark: Thirteen in a day and a half? Michael Hyatt: Yeah, can you believe it? Brian Clark: John Lee Dumas does something similar to that and it’s crazy. How do you keep your energy up? Michael Hyatt: Well, I personally believe that energy is a caused thing. In other words, you’re aware of it and I can get through a day and a half. I’m an introvert, so I’ll be crashing after that day and a half. Michael Hyatt: But I can keep it going. I’ve got people in the studio that are saying to me, including my daughter who runs my business, saying “Dad, your energy is flagging.” Or “Why don’t you stand up and do some jumping jacks or run around the block or something because we need the energy up.” So we’re conscious of that, but we have to be intentional. Brian Clark: Nice. That is interesting. I’m hearing more and more about the batching approach. I have taken to putting recording time on my calendar. I can adjust it if I have a guest or something like that. But that something is going to be recorded every day. To me, that’s been working so far simply because it’s hard to give up a whole day. And maybe that’s just my own limitation. You know how you place, “I can’t do that.” Of course you could do it if you really wanted to. Brian Clark: That’s interesting and definitely something to think about. Tell us a little bit more about the show, and how you positioned it. It has a different vibe to it and yet it all ties together with your body of work. Michael Hyatt: Well if I had to criticize myself, you know if I was a consultant to myself, I’d say, “You’re not nichey enough. You’re too broad. You’re covering too many topics.” That’s because I deal with personal development and leadership and productivity and platform stuff, and occasionally publishing. To me, it’s all under the rubric or the umbrella of leadership. Brian Clark: Yes. So there is self-leadership, and then there is team leadership and then there is public influence. To me, all those work together and I’ve been really intrigued for a long, long time about this idea of how can you succeed at business, but not lose at life? I knew so many people in the corporate world, particularly that they had tremendously successful careers, but they were working eighty hours a week. Their health had fallen apart, their most significant relationships were in turmoil, and I said I just don’t want that. As I moved into this online space, one of the things I got introduced to early on was this whole idea of being a lifestyle entrepreneur. That was really creating a business that serves your life and not the other way around. I’m just utterly fascinated by that. I still think that’s the biggest revolution that’s happening in our culture right now. For the first time, people can be entrepreneurs without having to go raise a lot of capital, without having to take extraordinary risk, and to do it in a way that serves their life. Now it’s going to take some time and I don’t think it’s probably wise for most people to just step out of their job and try to do this. I didn’t do that. I built it for a long time before I did that. Michael Hyatt: But it’s possible and that’s got to be a first in the history of the world. Brian Clark: Yeah, I agree. Building a software company out of a blog, refusing to write a book against conventional wisdom instead of giving all the content away for free, and yet I never had to raise money. It’s doable. That’s why even though I’ve never felt comfortable talking about myself. That was the early days of Copyblogger, “It’s not about you, it’s about them.” I took that very seriously, almost to the point where I didn’t realize that sometimes people do want to know a little bit about you. You have to continue to infuse yourself in it, but I suppose that came through no matter what. You’re right, absolutely. Here’s the thing that I think is interesting, even though you do come at things from a rather broad brush, they all do point to this concept of leadership. I’ve found that people want to build the audience, they want to have the platform, they want the benefits that come with that. And yet when you use the word “leader,” they get squeamish. Right? What else are you if someone follows you? It could be contextual leadership. I’ve been following Seth Godin since ’99. Brian Clark: I can call Seth or email him, but I just read his blog. That’s because whatever he’s thinking is going to inform me in some aspect. On the other hand, I may need a mortgage and I go follow someone and see the kind of information they have. That’s a very contextual transactional form of momentary leadership where I may say, “You’re the person.” Right? That’s what we’re talking about here. It’s leadership. Michael Hyatt: It is. I think anytime you’re seeking to influence somebody else, whether it’s through your writing or through your podcasting or you’re a public speaker or a book author or whatever it is, you’re a leader. You might as well own that and you might as well be a good one because we’ve all known leaders in our lives whether it was people we worked for or people we worked with that were crappy leaders. That also has an impact. The bottom line is there’s a ripple effect. You’re going to have an impact. It’s either going to be for good or for bad. You’re either going to influence people intentionally or you’re going to influence them unintentionally in ways that probably won’t be good for them and may not be good for you ultimately. Brian Clark: Let’s shift gears a bit. I want to talk about Platform University, which is your membership program. Now obviously your books, specifically Platform, have propelled your public speaking career. You have live events. I just missed you here in Colorado. I was in Dallas, you were here. I remember having a conversation with Tim Ferriss back before he became capital Tim Ferriss. And the book, you know, it was Scoble who really broke that book. Do you remember that? Michael Hyatt: Yeah, a huge missed opportunity. I’ve recommended that book to so many people. I’ve probably read through it four times myself. But a membership site for him would have been really cool, and for the rest of us that would like to get the latest and greatest. Brian Clark: So did you already have the plan or did it occur to you shortly thereafter? Michael Hyatt: Once again, no plan. I really didn’t have a plan. I didn’t even understand membership sites. I think I was a member of a couple. I’m the guy that subscribes to it and then forgets about it and it keeps hitting my credit card and I keep thinking, “I’ve got to get off that, I’m not using it.” But when I met Stu McLaren, do you know Stu? Brian Clark: I know the name, but I’m not placing it. 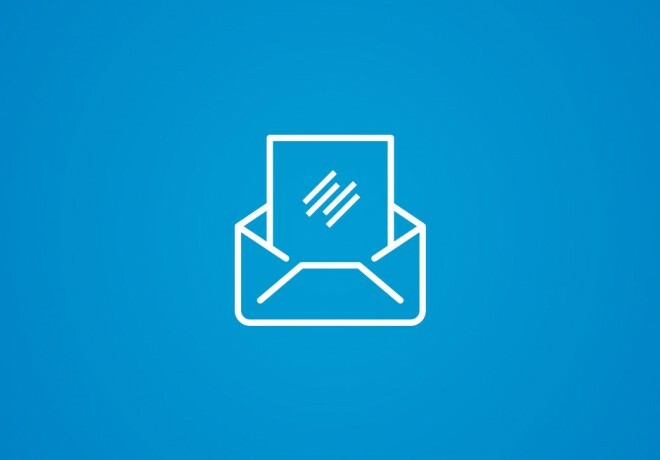 Michael Hyatt: Well Stu is the co-found of WishList Member, which is a big WordPress plugin for membership sites. Stu met me at a conference where I was speaking with John Maxwell. It was his event and he said, “Can I have dinner with you?” I never say yes to that. I’m an introvert and when I leave the stage, I want to crash. But I said yes for whatever reason. This guy has become an incredible business partner, but he gave me the idea. He said, “You need a membership site and here’s what is possible. If you’re serious about helping people at a deeper level, build their platform and really succeed at it, you’re not going to do that through a book.” He said you might introduce them to the concept, but let’s be honest, how many people follow through after reading a book? All you’re going to do is use that as a lead generator to get them into a membership site or a conference where you can really help them and go deeper. He gave me the vision for it and we launched that. I think we launched it in the Fall of 2012. Now we’ve got about 5,000 members and it’s a very robust community and I love it. That’s where really 90% of my attention goes these days, is in creating the content for Platform University. Brian Clark: Excellent. So in past shows, we’ve had some guests and we’ve talked about various topics related to online courses or membership sites. One topic being, “what’s the topic?” We covered that. With you and with your book, the topic was obvious. How did you then take the source material and add value? Of course the elaboration is one. Did you go into multiple media formats? 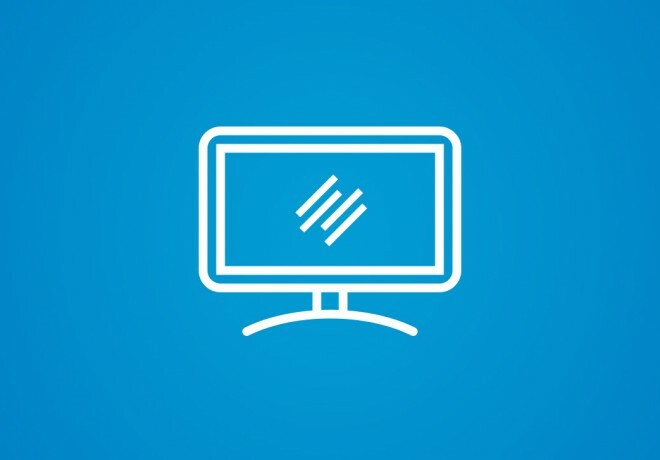 Did you create access to you in the form of a forum? All of the above? What was the value add? Michael Hyatt: Great question. What I didn’t want to do is just regurgitate what was in the book so we divided it up. We said we want new content that’s posting every week, it is new video content that posts three out of four weeks. I’ll tell you what we do on the fourth week. So I said, “Let’s do the first week, I love to interview people, so let’s have a master class once a month with somebody that I would like to learn from. I’ll ask all the questions that I would like to ask.” Week one is the master class. We’ve had some tremendous guests, Pat Flynn and Amy Porterfield and Dave Ramsey, and tons of people there. The second week, we do something called backstage pass. All this again, is video. So I have a camera crew from Toronto that comes in once a quarter and we do all this in batch format. Basically I let you look over my shoulder and I teach you how I do something. This is really how the sausage is made. Whether it is the dashboard that I use and the metrics that I pay attention to or how I’m able to do social media in twenty minutes a day, it’s that type of thing. Then week three, we do what’s called a member makeover. That’s where our members submit their platform to me, and my daughter now does this with me too, but we just do a ScreenFlow screencast. This is where we look at their website, we look at their social media presence and we basically critique it for about thirty minutes. It has turned out to be the most popular thing that we do at Platform University because people can then apply it to their own platform. Then in week four, we do a live Q&A call, which is audio only. It is usually the topic of the master class. Sometimes I have the master class guest on that Q&A call as well. Then we have a forum. It is this very robust discussion forum as well. Those are the five components. Brian Clark: And just to clarify, it’s not just for authors. Brian Clark: Which I think was your genesis, but you realize everyone selling anything, including themselves, needs a platform. Michael Hyatt: Absolutely. We have financial advisors, we have corporate marketing executives, we have mortgage brokers, we have retailers, insurance salespeople, authors, speakers, coaches, consultants, and all of the above. Brian Clark: Michael, I think I’ve figured out why even when we’re at the same conference we don’t see each other. That’s because after each of us speaks, we go hide. Michael Hyatt: Are you an introvert? Brian Clark: It makes perfect sense. I thought I was the only one because we do have some extroverts in this industry and I know we have to tolerate them. Michael Hyatt: I know. I don’t see how they do it because I can fake it for a while. A lot of people think I’m an extrovert. Brian Clark: Well, it doesn’t mean that you’re shy or that you can’t stand up and deliver. It just means you’ve got to go recharge. Michael Hyatt: That’s it, right there. Brian Clark: Yep, excellent. Michael, thank you so much for your time. I think this has been instructive. I know again as you said, I wanted to find out more about you and that’s what the fun part of doing these interviews is for me. It’s either catching up with old friends or making new ones and sharing it with the audience. Thank you so much for coming on. Michael Hyatt: Thanks so much for having me on. Keep doing what you’re doing. It really matters. Brian Clark: You as well. Thank you so much.